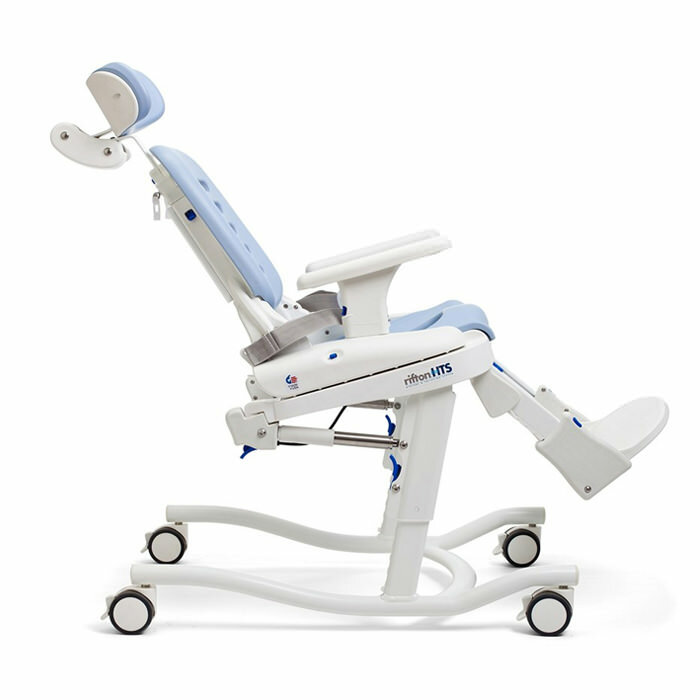 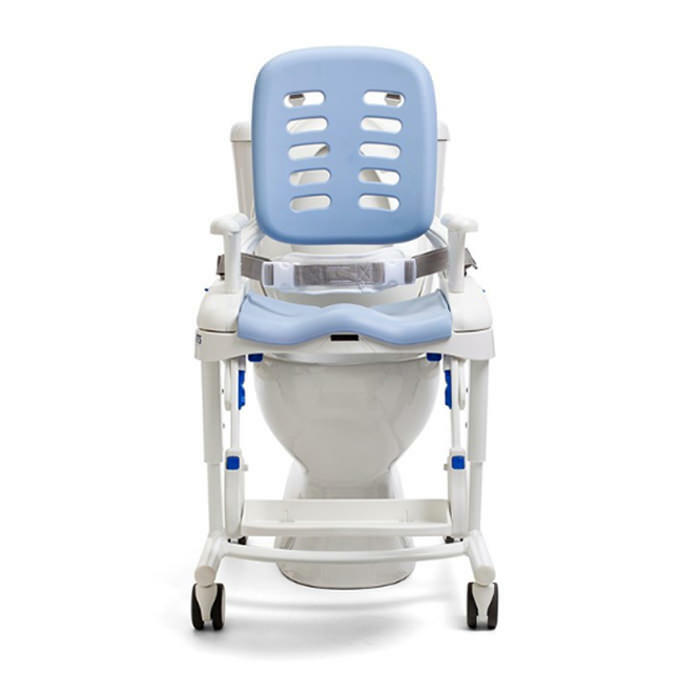 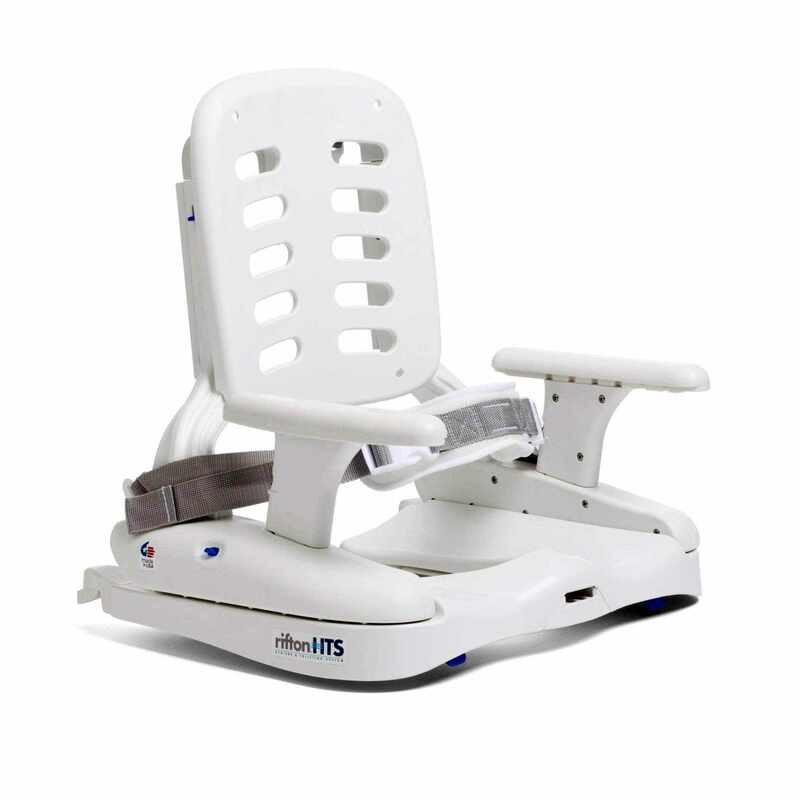 Rifton HTS hygiene toileting system's open seat design allows for optimal cleaning after toileting, the adjustable headrest makes showering easier and the entire system facilitates thorough cleaning. 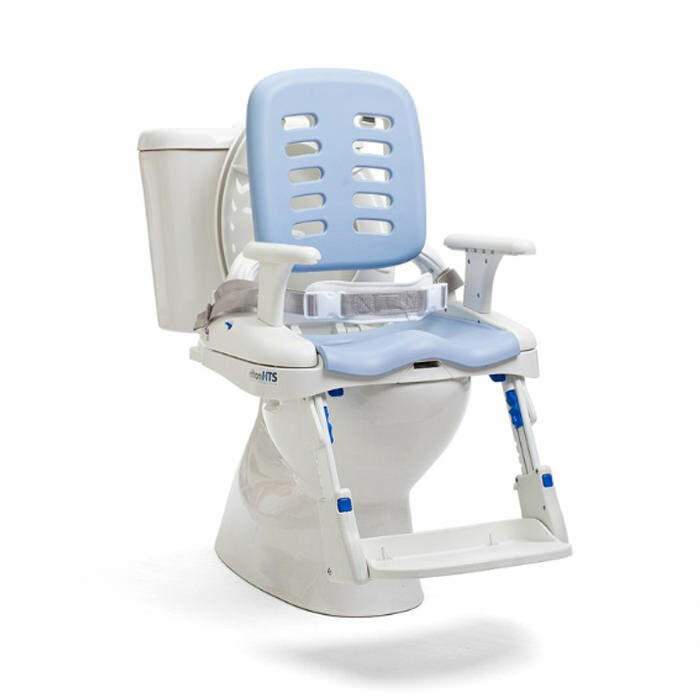 It can be used on, over or off a standard or elongated toilet (even the latest models); it can adjust to children as they grow; it includes accessories and supports for children of every size and need. 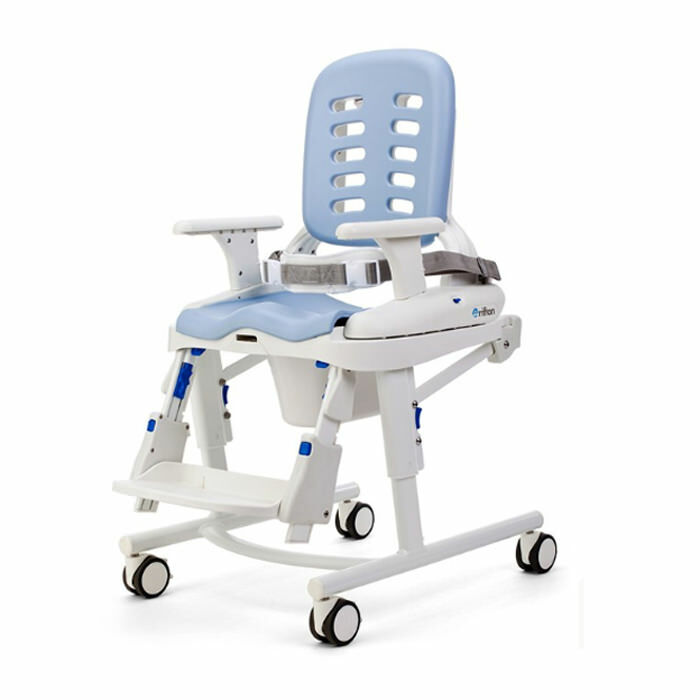 Seat (front) to footboard height 10" - 15"
Armrest height above seat 7"
Backrest height above seat 19.5"